How many of us (pre-kids) stood in a shop and shook our heads at the apparent lack of control ‘some parents’ have over their toddlers. Naughty, rude and badly behaved may have been our natural thoughts. Of course, just as many of us have stood in the same shop with our own toddler, the blood rushing to our heads as he throws himself on the floor, demanding a sweet or screaming for chippies! My, how the tables have turned! 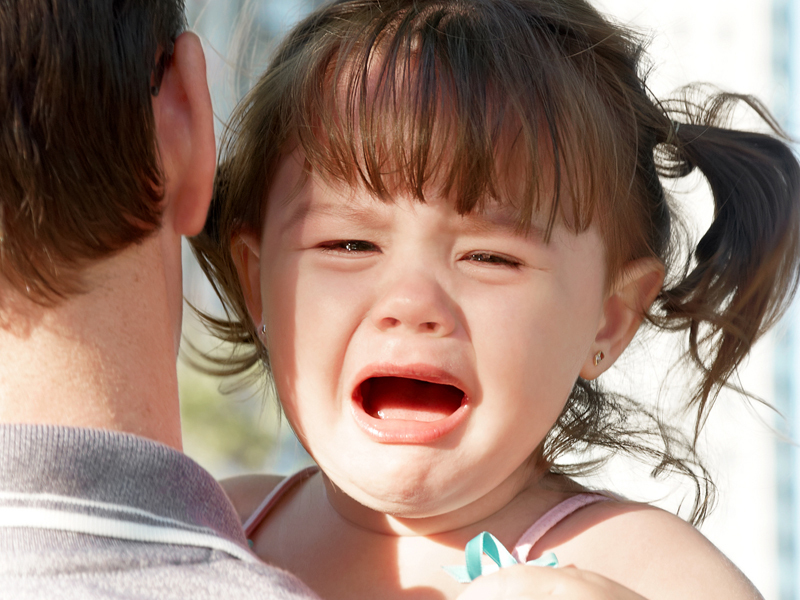 The question is of course, why do toddlers throw tantrums, how can we avoid them and how should we respond. A hungry or unwell toddler is an irrational piece of work. To avoid meltdowns for this reason: do not let your toddler go more than two to three hours without a meal or snack. Make sure the food he eats is filling with a low GI rating. Foods with high sugar and simple carbs result in sugar lows and bad moods. If your toddler is uncharacteristically grumpy – rule out illness. Feeling misunderstood. Toddlers generally understand and process more than they can communicate. When they have a thought or need that they feel is not understood by you, they are frustrated and may act out this frustration. When your toddler wants something, get down at his level and take his hand and look him in the eyes and say: “I know you want x. I would love to give it to you BUT we cannot have it now. However, you can have it after supper/ you can choose between y and z”. By making him feel understood and giving him some control back in the form of a choice, he feels important and empowered. Tired toddlers are tetchy toddlers. Your toddler can only be happily awake and interacting for about 3 to 5 hours. This means that a midday sleep is still essential for toddlers. Make sure your toddler is down for his day sleep by 11 or 12 so that he can be well rested to interact for the afternoon. Evening bedtime for toddlers should be no later than 7pm. Thereafter the wheels are likely to fall off. Limit play dates and parties to one hour at a stretch per year of your toddler – i.e. the average 2 year old will manage a 2 hour party before melting down; a three year old may cope well or three hours at a tea party etc. Do not stimulate a toddler immediately before bed time or nap time. Watch for those early signals of overload such as looking away or pushing away toys; scratching or touching his nose, face or head; seeking out his comfort object or needing to be held. While it is ideal to avoid tantrums by reading your toddler’s signals and seeking to understand the behaviour, even the most in-tune and experienced mom will have to deal with the head banging, leg kicking, ear drum shattering effects of a tantrum from time to time. So, the question is how we should respond. If these three steps don’t work (and usually they won’t because once a tantrum has started, it’s hard to stop it). Do the following: a. Walk over to your toddler (who is lying on the floor) b. Step over him c. As you step over him, say: “Right, now you stay there until you are finished” This statement takes all the wind from his sails as he doesn’t want to follow your instructions and so his tantrum has fallen flat. d. Walk away into another room. Or if you are in the shops walk to safe distance so you can see him but he must get up and follow you. e. When the tantrum ends, immediately go over and give him a big cuddle and talk to him about what he can have. And finally good luck – I have heard that we just master these tantrums in time to manage the next stage of adolescence!!! Oh boy, who said parenting was all fun and games? This entry was posted in Positive Parenting, Toddler Talk. Bookmark the permalink.